The Coast to Coast is one of the most magnificent walks you could find anywhere. It covers 192 miles from St. Bees on the Cumbrian coast to Robin Hood’s Bay in Yorkshire. Fully two thirds of the route is inside the National Parks of the Lake District, Yorkshire Dales, and North York Moors. This 15-night itinerary is an ideal span for this trip; it allows comfortable walking distances and leaves you to really enjoy this truly memorable long distance footpath. The route is the creation of legendary fellwalker Alfred Wainwright. After finishing his guides to the Lakeland Fells in the 1960s, he set himself the challenge of devising a long-distance walk to rival the Pennine Way, using purely existing rights of way. He decided on a Coast to Coast route, going across the country at one of its widest points. By universal consent, he improved on his model. His route offers variety and contrast: uplands and lowlands, sharp peaks and lonely moorland, towns and country, limestone and granite country, beautiful wooded lakes and remote upland tarns, glorious natural features and fascinating remains of human occupation. An expert on the North of England, he shared his wisdom about some of England’s finest places, linked them up, and invited you to travel in his footsteps. The experiences on this walk are too many to list, but highlights include the following. 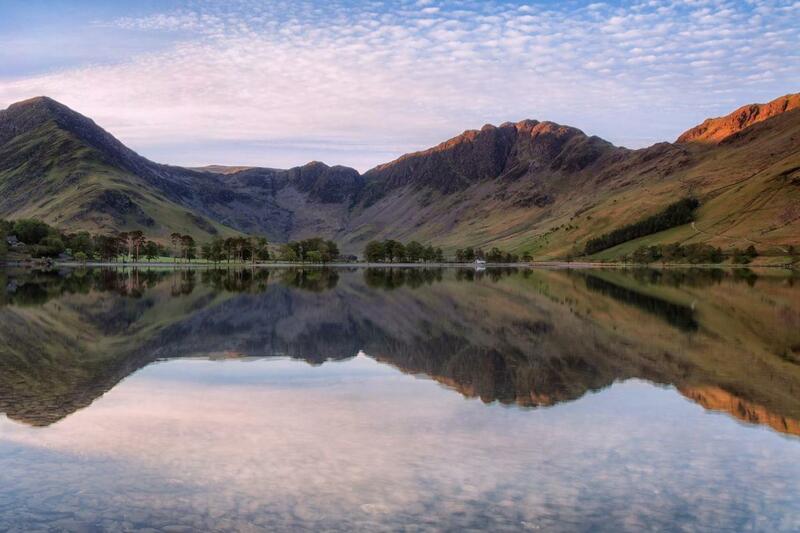 In the Lake District, you’ll visit four of the finest lakes: Ennerdale, Grasmere, Ullswater and Haweswater, plus the valleys of Borrowdale and Patterdale and the fine peaks of Helm Crag and Kidsty Pike. The limestone country of Westmorland offers some of the finest limestone pavements in the country, ancient settlements of Severals and Castle Folds, the Smardale Nature Reserve and the Stainmore Railway. The Yorkshire Dales offers remote moorlands; the strikingly steep, green, and sinuous valley of Swaledale dotted with drystone walls; the fascinating relics of former lead mining works in Gunnerside Gill and Old Gang gill; and the progression of settlements from the remote farmstead of Ravenseat, through Keld and Reeth, to the town of Richmond. After the attractive farmland of the Vale of Mowbray, the North York Moors offer fine views from Beacon Hills, escarpments of Wainstones and Hasty Bank, ancient tracks across remote moorland, old railways and forested glens before arriving at the dramatic cliff-side setting of Robin Hood’s Bay. That’s just a partial list of the riches on offer during this once-in-a-lifetime adventure. We take the stress out of your trip with expert local knowledge, hand-picked accommodation, luggage transfers and detailed support to help you find your way. You will need full walking kit including a waterproof jacket and trousers, a comfortable day sack and comfortable walking boots. You will receive a more detailed kit list upon booking. The price for this trip is based on 2 people sharing. We are happy to provide this event for solo travellers for a supplement of £45pp per night. For groups with odd numbers there is a supplement of £35 per night per group. By road: St Bees is located on the Cumbrian coast, approximately 1 hour from junction 40 on the M6. From the M6, take the A66 towards Workington and then follow the A595 south until you see signs to St Bees. By public transport: There is a regular train service from Carlisle to St Bees station (SBS), which is a few minutes’ walk from the beach. Check travelline.info for the latest public transport information. By air: The nearest airports are Manchester (MAN) or Newcastle (NCL), from where you need to take a train to St Bees (SBS). By road: Robin Hood’s Bay is located on the North East coast of North Yorkshire, near the A171, approximately 1 hour 20 mins from York. By public transport: There is a regular public bus service from Robin Hood’s Bay to Scarborough train station (40 mins). By air: The nearest airports are Manchester (MAN) or Newcastle (NCL). Take a public bus to Scarborough railway station and then a train to Manchester Airport (MAN) or Newcastle (NCL). Please select from Optional Extras at checkout. Day 1: Arrive at your accommodation in St Bees. Day 2 - St Bees to Ennerdale Bridge: As is the custom, dip your boots in the Irish Sea, before walking above the impressive cliffs of the St Bees RSPB nature reserve. Keep a look out for kittiwakes and puffins and a fantastic array of wildflowers. From here the route starts its easterly journey crossing fields to Dent Fell, the first hill on the journey, where there are uninterrupted views of the Cumbrian coastline and Ravenglass Estuary. The route then descends to the quiet hamlet of Ennerdale Bridge. 22.1km (13.7 miles) and 690m (2263ft) of ascent. Day 3 - Ennerdale to Rosthwaite: It’s a stunning walk today. The path begins by hugging the shores of Ennerdale Water, a great expanse of water overshadowed by towering Lakeland Fells. It then ascends initially through woodland, before passing the isolated Black Sail Youth Hostel where you begin to experience your first real taste of the mountains. Reaching the top of the pass you are surrounded by incredible mountainous views, with Buttermere to the north and Pillar to the south. There then follows a pleasant walk down the side of Fleetwith Pike via Honister slate mines into the valley of Borrowdale and the village of Rosthwaite where you spend the night. 22.8km (14.2 miles) and 530m (1738ft) of ascent. Day 4 - Rosthwaite to Grasmere: The route leads you up beside Greenup Gill to the watershed between High Raise and Ullscarf, 608m above sea level, where you have incredible views towards Helvellyn and back over the central fells. You have a choice now as to whether to head down Far Easedale, where you might spot the odd deer or to continue along the tops to Helm Crag before finally descending into the pretty village of Grasmere made famous by Wordsworth and Sarah Nelson’s Gingerbread. 12km (7.5 miles) and 530m (1738ft) of ascent. Day 5 – Grasmere to Patterdale: Another amazing mountain day awaits you today as you pass through some of the most dramatic mountainous scenery Britain has to offer. Take time on the strenuous ascent up Tongue Gill to stop and admire the wonderful views of Lake Grasmere and the Langdale Pikes before heading over the pass and down to Grisedale Tarn. This little lake, nestled in a glaciated corrie, is the perfect place to pause and appreciate the splendour of the mountains. From here, the route descends beneath Nethermost Pike to the village of Patterdale. 12km (7.5 miles) and 500m (1640ft) of ascent. Day 6 – Patterdale to Shap: The last of the Lake District days. The route ascends steeply towards Angle Tarn with outstanding retrospective views of yesterday’s walk. Ullswater lies to the north and green fields lie peacefully in the valley below. From the top of Kidsty Pike, the lowlands come into view as the scenery changes from craggy mountains to limestone dales. Enjoy quiet solitude walking along the shores of Haweswater (a reservoir serving Manchester) before crossing through fields via Shap Abbey, the last abbey to be founded in 1199 and the last to be destroyed in 1540, to the village of Shap. 25km (15.5 miles) and 762m (2499ft) of ascent. Day 7 – Shap to Orton: There is an invigorating sense of freedom as you experience the wide open moorland upon leaving Shap and embark on the next leg of the journey. Spot prehistoric ruins, limestone pavement and moorland birds and take one last look back to enjoy the final sweeping views of the Lakeland Fells. Finally the route drops down into Orton, a quaint Westmorland village where you can treat yourself with a visit to Kennedy’s Chocolate Factory. 12.6km (7.8 miles) and 110m (361ft) of ascent. Day 8 – Orton to Kirkby Stephen: The scenery today is softer with gently rolling hills, sheltered valleys and fascinating limestone flora. The highlights are Sunbiggin Tarn, an important site for birds and Smardale Fell, where you get great views down into Scandale Beck and towards the impressive Smardale Viaduct. The day ends in the attractive market town of Kirkby Stephen. Take time to check out the 8th Century Loki stone relating to Norse mythology located in the church yard. 20.5km (12.7 miles) and 160m (525ft) of ascent. Day 9 – Kirkby Stephen to Keld: Leaving the hustle of Kirkby Stephen you head into the Yorkshire Dales National Park. Arriving at the top of Nine Standards Rigg is a cause for celebration as you have now crossed the watershed of Britain, the point at which water either flows west to the Irish Sea or east to the North Sea. The top is strewn with an array of huge imposing stone cairns and commands far-reaching views over the Pennines. No-one is sure of the origin or purpose of these structures, leaving you to come up with your own theories. The route becomes increasingly gentle as you descend past spectacular waterfalls to the village of Keld, roughly the mid-way point of the Coast to Coast. 23km (14.3 miles) and 520m (1706ft) of ascent. Day 10 – Keld to Reeth: Waterfalls and wild flowers make this a particularly special walk. Following the course of the River Swale, there are waterfalls around every corner as the river cuts its way through the creamy limestone cliffs. Dotted along the way are flower-filled meadows and traditional barns. Keep an eye out for evidence of the valley’s industrial heritage. Your destination is Reeth, a delightful village with a variety of tea shops surrounding a village green. The village grew into a thriving settlement in the 18th Century built upon its reputation for hand-knitted woollens and the lead-mining industry. (11.8 miles) and 130m (426ft) of ascent. 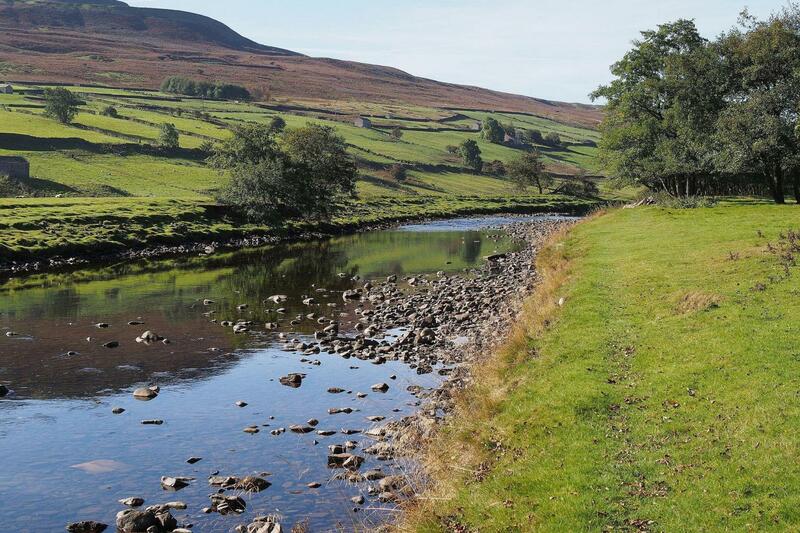 Day 11 – Reeth to Richmond: The River Swale is never far away on this pleasant walk from Reeth to Richmond. Enjoy wooded glades, a 12th Century Benedictine priory at Marrick and two quiet villages as the route makes its way into the historic town of Richmond. Worth a visit is the impressive Norman keep which would have been a formidable fortress standing on a hill surrounded by the river. The name Richmond means ‘strong hill’ and comes from the French riche mont. 17.5km (10.9 miles) and 340m (1115ft) of ascent. Day 12 – Richmond to Osmotherley: Today’s walk is predominantly through farmland as you leave the Yorkshire Dales National Park and enter the North York Moors. Walking on quiet lanes and across fields, there are charming villages and intriguing buildings to stop and admire. Kilpin Hall is an excellent example of Jacobian architecture and Mount Grace Priory, located just before Osmotherley is the most important and best preserved example of a Carthusian Monastery in England. 38.8km (24.1 miles) and 295m (968ft) of ascent. Day 13 – Osmotherley to Great Broughton: From Osmotherley, the route is joined by two other long distance footpaths, the Cleveland Way and the Lyke Wake Walk. 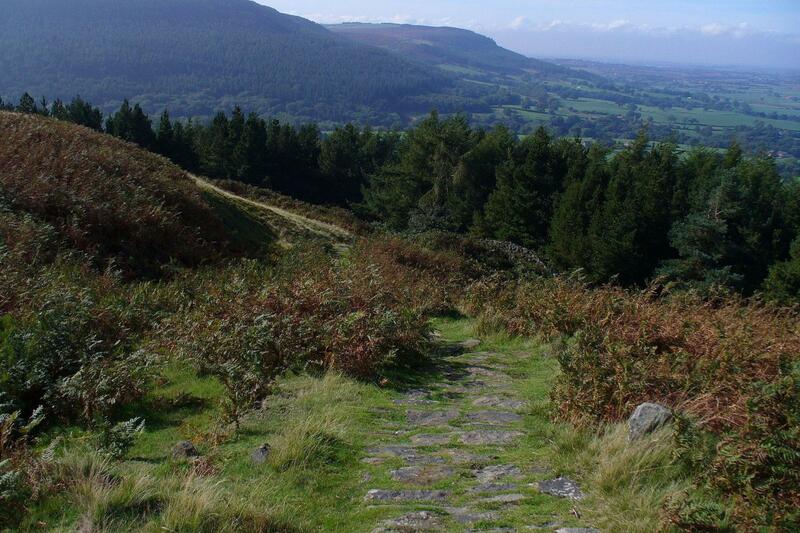 Enjoy wonderful walking along a sandstone escarpment via Carleton Bank, the site of a Bronze Age burial mound at Cringle Moor, the Wainstones and Clay Bank finally descending down to our accommodation at the foot of the escarpment. The heather-clad moors and views back across the patchwork of fields make a great contrast to the previous day’s walking. 21km (13.0 miles) and 600m (1968ft) of ascent. Day 14 – Great Broughton to Glaisdale: The walk today crosses bleak wind-swept moors and follows the route of an old dismantled railway as it winds across the moor following the contours to the Lion Inn on the top of Blakey Ridge, a welcome pub located miles from anywhere. The wild expanses are uplifting and atmospheric with the curlews and sheep for company and further ahead is your first glimpse of the sea. From here the route descends following the ridge into Glaisdale. 31km (19.3 miles) and 400m (1312ft) of ascent. Day 15 – Glaisdale to Robin Hood's Bay: What a walk to finish the Coast to Coast. You walk through wooded valleys beside the River Esk and past the famous North York Moors Railway in Grosmont before arriving at the sea. You're not quite there yet as there is still a short walk along the cliffs to the finishing point in the village of Robin Hood's Bay. As you arrive in the village and dip your boots in the surf, you're filled with a strange mix of emotions. On one hand you feel incredible triumph and sense of achievement at what you have accomplished and on the other a sense of sadness that the walk has come to an end. However, now you've achieved one long distance walk, you're probably already planning your next challenge. 32km (19.9 miles) and 510m (1673ft) of ascent. The trip ends at the end of the walk unless you have booked extra nights or other optional services with us. Pay a £199 deposit and confirm with your charity their minimum fundraising requirements for the balance. This will typically be double the cost of the adventure, less the registration fee.